It’s a two-minute spiritual reflection – with a Franciscan twist! The Lord’s insights each day are just a phone call away. For over two decades, the Word of the Lord has gone forth from St. Anthony Shrine through Masses and Ministries. We also have a spiritual reflection that can be heard 24 hours a day, seven days a week, whether in the Shrine or not, through The Good Word for Today. 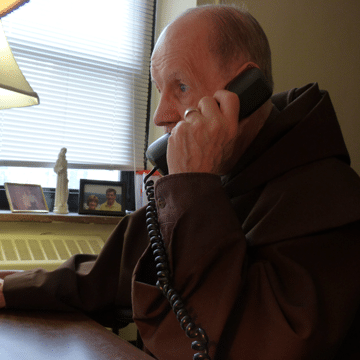 Simply dial 617-542-0502, sit back, relax, and listen to today’s Good Word from St. Anthony Shrine here in Boston!